It's the year end holiday. One important agenda on my holiday to do list is read books. 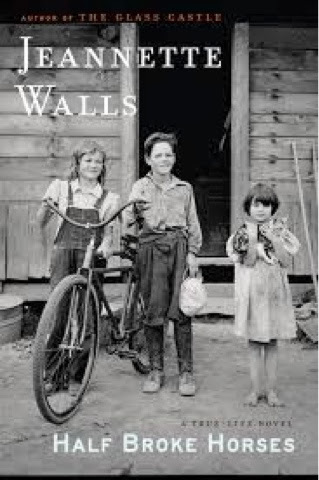 Saw the review of this book : Half Broke Horse by Jeannette Walls and decided to read it. No regrets. Beautifully written biography of Lily Casey Smith, the writer's grandmother. It has humor, pain, reality....all in one. One tough woman who made it in life. Truly inspiring. One of the best moments for me is reading a good book without anyone disturbing me or having to worry of what to do next. The bliss of holiday when I can throw the stress of work life in the bin for a while.